You are currently browsing the tag archive for the ‘Black History Month’ tag. I learn as much about history through fiction as through non-fiction–probably more. That’s not because it’s historical fiction (it seldom is) but because fiction is such a powerful way into other people’s minds and experiences. Several years ago I made a personal reading list to remedy the lack of African-American writers (and history) in both my formal and informal education, mostly fiction. If you’re like me and love sci-fi/fantasy, you won’t be surprised to learn that one of the books from this genre, The Intuitionist by Colson Whitehead, had a particular impact on my understanding of history. Whitehead is a kind of literary surrealist. He takes historical facts, like the Underground Railroad, and adds some dreamlike twist, like the actual subterranean rail line in The Underground Railroad. Or in John Henry Days, he draws a connection between the legendary John Henry and a modern-day self-imposed endurance contest, his character J. Sutter’s junket-a-thon: how many literary junkets can one freelance journalist string together? And Zone One is quite straightforwardly true to life if you accept that zombies are taking over New York City. Maybe most sci-fi is essentially surrealist, which explains one reason I like it (I’m a fan of surrealism in visual art as well). The Intuitionist has a comically bizarre premise: that elevator inspectors are a powerful political and politicized force. Accept the premise, and the book becomes a heartbreakingly realistic (and sometimes hearteningly hopeful) portrait of African-Americans’ options for their own identity and dignity within a culture where whiteness is held to be superior. I knew as soon as I read it that I would want to pick it up again in a couple of years–that it would have changed me in the meantime and that I’d want to check in on those changes and learn something new from the second reading. It’s about time to do that. I could do an entire month’s worth of daily posts just on collage by African-American artists. Jacob Lawrence and Romare Bearden, of course, and so many other artists of our own time who are taking collage in fascinating directions. Njideka Akunyili Crosby is new to me, and I love, love, love her work. It’s mostly painting, with Xerox transfers and other collage elements, and frequently makes striking use of negative space. In the piece I Refuse to Be Invisible, invisibility seems to threaten each figure. Faces and hands, flat, recede into the design. The woman in the orange stripes seems less real than her clothes. The face of the woman turned toward us, though, defies being disappeared. She will be seen, and on her own terms. I need to see this artist’s work in person! As I’ve done before, I’m challenging myself to blog about African-American* history, thought, and culture every day this month. Today’s post arises from my having just finished the audiobook of Letters to a Young Artist, by the actor, playwright, professor, and author, Anna Deavere Smith. She reads it herself, naturally, and I’m glad I heard it in her voice, though I am going to buy a paper copy as well. It’s a book I’ll want to reread, thumb through, underline bits of, pull off the shelf frequently, and give copies of to friends. She’s writing to a painter, and many of her examples come from acting and writing, but the advice–no, the wisdom–goes far beyond any particular art form. In fact, what the artist M. C. Richards once said kept running through my head as I listened to Smith’s direct, engaging, humble yet confident words: All the arts are apprenticeships; the true art is our life. It’s life wisdom she’s imparting here, as valuable for minister-me as artist-me, and most of all for human-me. Not having a print version before me, I can’t properly remember the things I wanted to underline and share. (I couldn’t even place electronic bookmarks, because I was driving.) But if you’re looking for a hopeful, urgent response to the crisi/es that we 21st century people face, try listening to the voice of Anna Deavere Smith. I’ve tried to make many of these entries positive, so as not to suggest that African-American history has been nothing but sorrow. The genius of black poets, leaders, artists, composers, dancers, writers, and organizers is the heritage of African-Americans and other Americans–for that matter, of all of humanity. Still, there are tragic passages of history I have wanted to include. First, they’re part of our history and think we can learn who we are by learning our country’s history, just as we learn it by knowing our family’s story and our own. Second, they also tell us about the tremendous courage, creativity, and perseverance of African-Americans. It gives me hope for the human spirit even as it makes me feel sick at how cruel and ignorant we can be. And third, they counteract the racism, and internalized racism, that says African-Americans must be near the bottom of the social structure because of some fault within themselves or their culture. One of the phenomena I didn’t know about until a few years ago is the sundown town: a town where black people were prevented by official policy, enforcement by police or unchecked vigilantes, restrictive covenants, and the like from “allowing the sun to set on them”–in other words, they could pass through, spend money, even work (usually as laborers or domestics) there, but not live there. (There have also been towns that were “sundown” to Jews, Chinese, Native Americans, Mexicans, and others. San Jose, California, now home to more people of Vietnamese descent than anywhere outside of Vietnam, used to exclude Asians.) I touched on this a bit early in the month in my entry about the Green Book. The national expert on it is James Loewen, whose book, Sundown Towns, is a fascinating read; you can also read about sundown towns on his website, and look up towns you know. Surprise: they will mostly be outside the South. He began his research in his home state of Illinois, and eventually confirmed 456 sundown towns there; in Mississippi he has confirmed only a handful. The phenomenon of white Americans creating white-only towns (sometimes by violently expelling the towns’ black residents) took hold around the end of Reconstruction and was most widespread from 1890-1940. It declined, but didn’t end, then; at the time of his research a few years ago, some towns were still effectively closed to certain groups, usually black people. At its peak, Loewen surmises that “probably a majority of all incorporated places kept out African-Americans” (2). Headline from Appleton, WI, a town whose historian has done some constructive work to acknowledge its past. I guess when your most famous son is Joe McCarthy, you'd be pretty foolish to hide your head in the sand. Levittown, the famous planned community that began in New York and was also established in three other states, is widely credited with establishing suburbia and the American middle class. It made home ownership available to blue-collar families. Which blue-collar families? White ones. Black people were not allowed to buy houses there. Repeat this pattern all over suburbia and you start to understand why African-Americans have found it so hard to gain a foothold in the middle class. For the ambitious and history-minded, Loewen provides a guide to determining whether a given town is, or used to be, sundown. If you enjoy researching genealogy or local history, this is a great project, and Loewen will post your results. Why bother, especially if the town’s status changed two generations ago? Because the reputation lives on, if not among the people who have always been allowed to live there, then among the excluded populations, with the result that they continue to feel excluded. Without ever being told straight out that people like me (Jews) used to be forbidden to live in Darien, CT, I knew it was a town I didn’t want to drive through, much less live in. I would feel very different about it if the town formally acknowledged its history and apologized for the injustices of the past; until it does so, the impression it gives is that it is content to continue to ride the coattails of ancestral anti-Semitism. 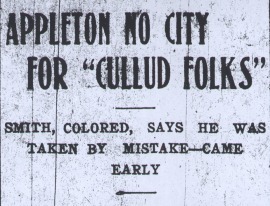 Likewise, if a town I live in used to exclude African-Americans, I’d want it to explicitly declare that those days were over and all were welcome, so that it didn’t continue to maintain a de facto exclusion by its reputation. I love this. Tip of the hat to Esther Bradley-DeTally, on whose blog I saw it, and thanks also for putting me on to Colorlines. 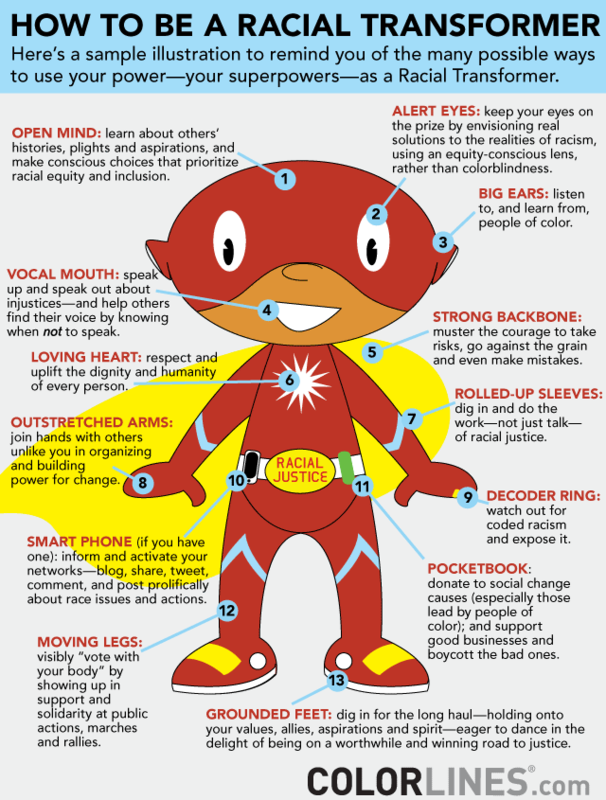 com and arc.org (Applied Research Center: Racial Justice through Media, Research and Activism. I’m printing it out as a poster for my office window. an anachronism, the brooding artist’s demimonde? I’ve lost her, I thought, and called for the bill. I really wanted to post “Seeker of Visions” by Lucille Clifton. To my ears its “walking men / wrapped in the color of death” are the world’s accepted leaders and decision makers, the ones who casually sow death with their international wheeling and dealing, and ever since reading it a few days ago, I’ve been thinking about them and what she is saying to us. However, whoever holds her copyright doesn’t like her poetry to be reproduced on the net. I recommend it. I bet you have a poem by an African-American woman that you’d like others to see. If so, please post it, or give us the title/poet, in the comments! Ella Baker, painted here by Robert Shetterly, was working for the NAACP and the Southern Christian Leadership Conference when students inspired by the Greensboro lunch counter sit-in began sitting in at segregated libraries, pools, and parks–as well as restaurants–in protest. Baker asked the SCLC for some start-up funds and put out a call for student leaders at her alma mater, Shaw University. The result was the Student Nonviolent Coordinating Committee (SNCC), which, with Baker as one of their key mentors and guides, went on to organize the Freedom Rides, voter registration of people who were penalized harshly for registering (African-American voters often lost their jobs, or were assaulted, for registering), Freedom Schools, and the Mississippi Freedom Democratic Party. SNCC’s John Lewis gave one of the most fiery speeches at the 1963 March on Washington, and under Stokely Carmichael’s leadership it led the Black Power movement–and also dismissed the role of the women who had shaped it into such a force. In the meantime, Baker was forming yet another organization, the Southern Conference Educational Fund. She had a genius for empowering others to take action, for leading them by helping them find their own authority. She distrusted reliance on prominent, charismatic leaders, saying, “Strong people don’t need strong leaders.” As she said of her earlier work developing the Young Negroes’ cooperative league, which aimed to give its members economic power through unity, “The major job was getting people to understand that they had something within their power that they could use.” It often is. 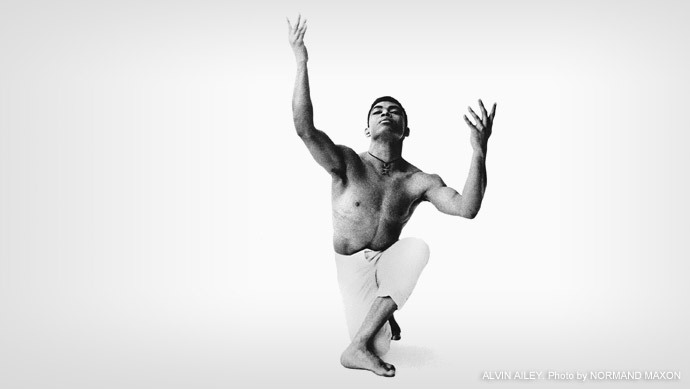 Ailey was born in Texas during the Depression, a time and place of tremendous poverty and danger for African-Americans. He and his mother, who raised him alone, moved to Los Angeles when he was 12, where he connected with his first dance teacher, Lester Horton. He danced for two years before he told his mother about it, and he knew her biases well; according to this brief biography, “When she first came to his dressing room and saw him in stage makeup, she slapped his face.” But then, he kept other important aspects about himself hidden from her view and others’. The person who was deeply upset that I wrote about Bayard Rustin’s being gay will not like this, but Ailey was too. He was part of that generation that was sexually active before anyone knew about this thing called Human Immunodeficiency Virus, and he died of AIDS in 1989, asking his doctor to give his cause of death as “blood dyscrasia” (i.e., an unspecified blood disorder) so that his mother would not have to cope with public shame. His company is going strong, and so are lots of other black choreographers and dancers, and integrated companies that draw on African and African-American dance traditions. I started this post thinking I’d catch Alvin Ailey American Dance Theater when it comes to my area next month, and after poking around on the net, discovered that there is a festival of black choreographers that’s closer to home, much less expensive, and probably more adventurous, at Dance Mission Theater this weekend. I love modern dance. Where I went to college, dance was an established major (this is rare; academia has little respect for anything done with the whole body) and there were lots of dance performances, often free or a couple bucks, and of a wide variety of genres due to the school’s strength in ethnomusicology. It was said that no one should graduate without taking Introduction to Dance. My senior year was very intense; I was working on two honors theses, one in religion and one in studio art. They occupied two different areas of my brain, one being a philosophical essay requiring analytical writing and the other being a series of big sculptures out of clay employing the skills of my hands and eyes. Still, both were highly philosophical and psychological in theme, and stressful to execute, especially over the same period of time, and I thought it was a good time to take one class in which I would demand nothing of myself but that I show up. Introduction to Dance seemed just the thing. I loved it. It was like sculpture in motion. Instead of making it with clay, we were making it with our bodies, and I didn’t worry about whether the choreography we created said something important or even all held together; I could just have fun. Come second semester, I signed up for Modern I. Sometime that winter, I went to a dance performance in the old chapel in the center of campus, and one piece, choreographed and danced by students, knocked my socks off. The dancers moved across the stage with the intensity of army ants. They swarmed up scaffolds and seemed to come from everywhere. The whole building came alive. If I had taken those classes and had that experience two years earlier, I thought then, I probably would have created a different major, something combining dance and sculpture, choreographing sculpture through time. Ever since then, every couple of years I’ve looked for a dance class nearby, but modern is hard to find. It’s usually jazz or ballet, or something called modern that looks more like what I think of as music-video dancing. (A student in my college’s dance program said that when dancers from other schools visited, the performances contrasted sharply. How so, I asked. “They smile all the time, like you’re never supposed to stop smiling while you’re dancing.” Our dancers smiled only if the dance called for smiling. We were Arty. I liked that.) I took a “Pilates dance” class but it was like doing all the warmups without ever getting to the creative bit. I was looking for something like what I’d done in college: dance not only as craft and exercise, but as art. When I moved to San Francisco a year and a half ago, I looked up dance classes and of course there are lots, but I didn’t feel like I had time for anything but my drawing class on my day off. But reading about Ailey and his company has inspired me to do two things: buy tickets to the Dance Mission Theater for this weekend, and go to a modern dance class this Monday. Who am I kidding. This letter is for everyone: for those who were meant to perish and for those whose innocence is indicted here because it is the “innocence” of those who do not wish to see. My father and my sweetie both spoke this week of the importance of James Baldwin to them, naming him when I asked people for their favorite African American writers. Now I’ve gotten to a passage in Michelle Alexander’s The New Jim Crow quoting from The Fire Next Time, a book I haven’t read since American Lit, in 11th grade. Baldwin is writing to his nephew. He wrote that fifty years ago. It’s a drop in the ocean of anti-African bigotry going back before the transatlantic slave trade, but fifty years still seems like a long time to keep our eyes on the prize. A long time to hold on. What I want to write about for today is how Haiti went from a brutally oppressive slave plantation to an independent nation, but what I mostly know about Haiti is how little I know. I just find it intriguing, for several reasons: how widespread the revolt was, a real grassroots movement. How they defeated England, Spain, and Napoleon, for heaven’s sake. How the successful revolt by slaves got the attention of US Americans: definitely that of northern abolitionists and southern newspapers, who commented on it, and surely that of enslaved people as well. The question of whether the Haitian revolutionaries were inspired by the US war of independence (seems likely enough), in which case there is an elegant circling-round, with our revolution partially inspiring theirs, then theirs in turn inspiring our “next revolution,” the Civil War. The interesting personalities of the leaders, such as Toussaint L’Ouverture and Boukman Dutty (I’m finding myself wanting to read a biography of each, and I almost never read biographies). How complex the racial and class relationships were, with a caste of black landowners, maybe even an aristocracy, such as never existed in the antebellum US South. How after the Haitians established a free republic, they waged a war to free the slaves of the Dominican Republic. How, nevertheless, their leaders were not agreed on whether to sustain a democracy or set up new autocracies. If there were any sense of fair play in world politics, everyone would keep their hands of Haiti–a country that had overcome so much, the only one where slaves reasserted their rights and took over to the point of establishing a new republic, should be hailed and helped by all democracies from then on. (I know, naive. I also have this idea that people who survive cancer should all live to old age and never die of something as ridiculous as a car accident.) Obviously it doesn’t work like that, and not only because Haiti’s leaders vacillated between democracy and dictatorship. The US, far from seeing Haiti as a sister in freedom, invaded in 1915 and set up a puppet government, just one of many cases of the US invading a Caribbean or Latin American country at the behest of corporations. Of course, then-president Wilson was such a white supremacist that, far from rejoicing to see a former slave state gain freedom and equality, he probably found it galling. Again, if black people could run a country, what did that say about his harsh judgment about “governments sustained by the votes of ignorant negroes” after the Civil War? (Read his chapter on Reconstruction in his History of the American People, volume IX, if you can stand it.) We’ve meddled in Haiti ever since.